Home and business owners have two main options when choosing an ideal video surveillance system: IP camera systems and analog camera systems. The early adopters were disadvantaged since only analog camera systems were available at the time. However, with the rapid growth of IP technology, IP surveillance camera systems have become the better option. IP Cameras offer HD-quality images, with resolutions ranging up to 20 MP. This is much better compared to the SD-quality images from analog cameras, measured in TV lines. IP CCTV Systems do not come with the bulky equipment associated with analog camera systems. As such, the IP systems require little or no maintenance, apart from the annual routine servicing and maintenance. The size of analog camera systems is limited, with regard to the number of cameras that can be incorporated, depending on the number of channels available on the DVRs. IP surveillance applications, on the other hand, can support an unlimited number of cameras, with the option of having some cameras in remote locations. Flexibility: IP Cameras can be incorporated into existing analog security systems to create a hybrid system. This is beneficial to small business owners who may have an analog system already in place and may not have the resources to replace the entire system at once. It is much easier to incorporate wireless IP Cameras in video surveillance applications as compared to analog applications. As such, users can deploy more complex surveillance applications, having cameras installed in remote and hard-to-reach locations. IP technology allows users to access their security footage remotely. All that a user requires is a computer and an Internet connection. Users can also view their security feeds in real time, on their iPhone, smartphone, or any other compatible device. Analog technology is basically outdated, and is being replaced with IP technology. As such, investing in IP camera systems ensures that you have the latest features and functionality. IP surveillance systems are easy to integrate with other applications including POS, ATM, intrusion detection, alarm systems, and access control. Security cameras are a major asset for commercial operations of all sizes. 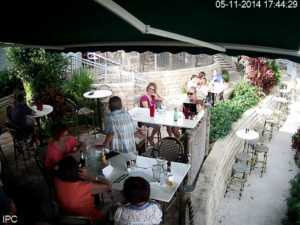 Having high-quality cameras in the right locations can be very beneficial. Getting a security system with Clear Home from scottsdale may help your company reduce shrink and protect the individuals at your facility. Everyone appreciates a safe and pleasant experience when they visit a business’s location. This is especially true for the employees who spend an extended amount of time on the property. When you’re trying to help your customers get top-notch experience with having video surveillance equipment at your Scottsdale establishment, you’re assisting them in taking a preventive and proactive approach to creating a safer environment. Employees often perform better when they feel safe and protected. This kind of environment can boost team productivity and morale simultaneously. Likewise, customers usually prefer to do business in locations where they feel safe. By working with Clear Home security camera distributors in Scottsdale, you can get a top-of-the-line surveillance system for your customers’ businesses. Every business owner knows the importance of preventing shoplifting. What they may not know is that most cases of theft actually come from within the organization. Employees know more about a business, and therefore they are often able to steal from the establishment with greater ease than a customer. Security cameras can ensure owners have the video evidence needed to hold workers accountable should this situation occur. While security footage can be used when pursuing legal action against workers who steal from a business, sometimes their presence is enough to deter theft altogether. 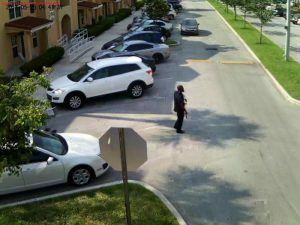 A would-be thief may think twice if they know a location is equipped with video surveillance equipment. This isn’t the only type of damaging act a business can face – thankfully, security cameras can be helpful in dealing with other issues as well. You’ve probably heard about instances of people faking injuries in a place of business in order to sue. Cases like this can be a huge financial liability and a public relations nightmare. Many people are quick to give plaintiffs the benefit of the doubt, especially when the accusations are made against a successful company. Luckily, a security camera system can stop you from being falsely accused. Cases of this type often come down to the smaller details, such as whether proper warning signs are in place near a wet floor. No one wants their Phoenix business to be blamed unfairly, and security cameras allow you to remove all doubt when it comes to these kinds of cases. You’ll be able to help your customers counter any false claims with video evidence, making it impossible for con-artists to take advantage of your customers’ businesses. Homeowners associations can use video surveillance systems to protect people from acts like theft and violence. Malls and shopping centers can also benefit from security cameras. These areas are usually crowded and busy, making them easy targets for criminals. With the right surveillance equipment in place, even the most bustling commercial area can reduce shrink. Even areas with no products can benefit from having video cameras nearby. Various kinds of accidents can occur in the parking lots of businesses. These can range from fender benders to major collisions. This can cause a business problems, so video recording equipment outside the facility could prove to be a great investment.